Our company and our quarries are located near Heppenheim in the Odenwald. We are particularly committed to the people living near our sites. This is why we maintain a lively, intensive dialogue. We see ourselves as a partner for the region who not only creates jobs, but also promotes and supports social cohesion. We are committed to the communities in our neighbourhood, with great strength and high financial and personnel expenditure. In 2005, RÖHRIGgranit® acquired a property and extensively renovated it. This is where the “Haus der Vereine” (House of Associations) was built, in which local associations can use the premises free of rent. The house, with an area of 500 square metres, has an courtyard suitable for summer events. The House of Associations is also the linchpin of our sophisticated summer holiday camps. Every two years, we organize a holiday camp for 80 children between the ages of 7 and 12. In particular, we want to relieve working parents from the surrounding villages, and offer the children an extraordinary experience. 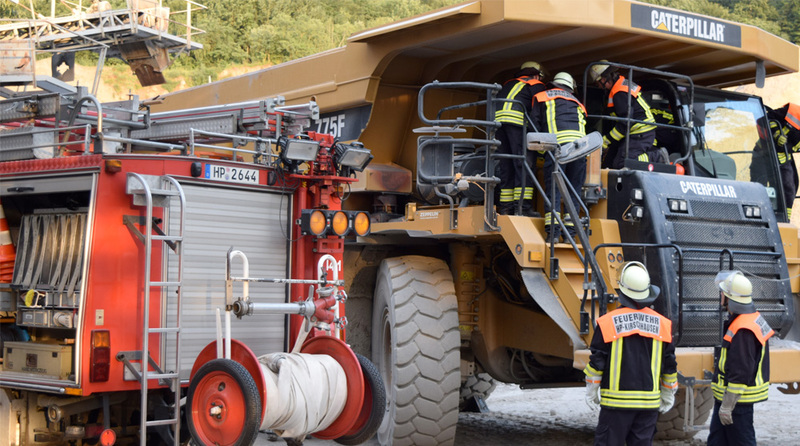 We are particularly pleased that aid organisations such as the mountain rescue service, the voluntary fire brigade, and the Johanniter are using our quarries as training grounds to train operations in challenging terrain. Sometimes, we get suggestions that we initially don’t know how to implement. There were, for example, the penetrating warning tones on our large equipment, which sounded 120 decibels in the surroundings when engaging the reverse gear. Why it couldn’t be quieter, was the legitimate question. 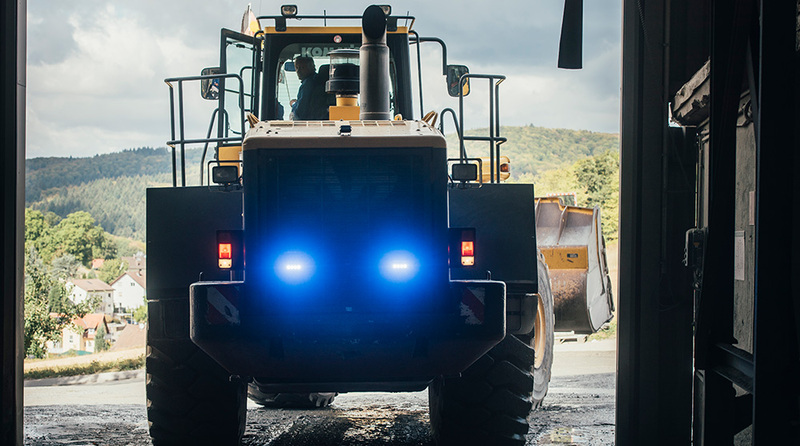 We set out to find a solution, and have now installed the latest generation of reverse alarms in our machines. They automatically adapt to the noise level of the environment, and are therefore generally considerably quieter than before. The neighbors and ourselves were equally pleased. Our company is located at the edge of Heppenheim-Sonderbach. We are committed to the residents. That is why we do everything we can to keep the side effects of our work to a minimum. Our production facilities are encapsulated for sound insulation. 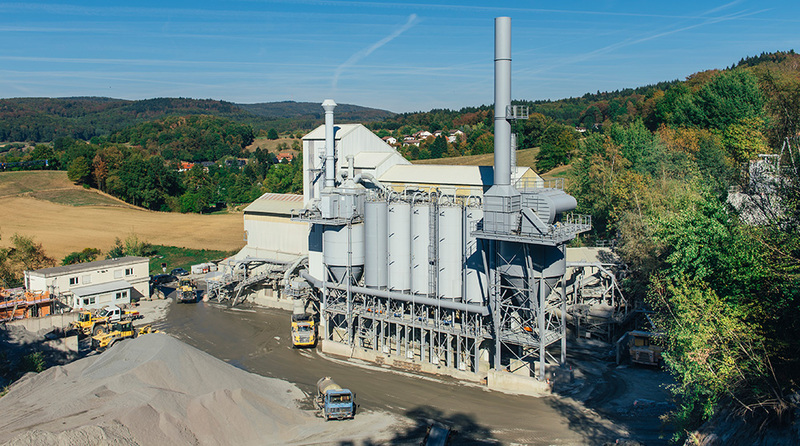 In 2015, we commissioned a new dedusting plant, with which we can collect and separate additional dust. In dry periods, we irrigate the driveways to reduce the stirring up of rock dust. Truck traffic is routed around the town on our own factory road. As a rule, we only use explosives once or twice a week, and organize them as vibration-free as possible. Over the past four years, we have succeeded in drastically reducing the blasting vibration values. 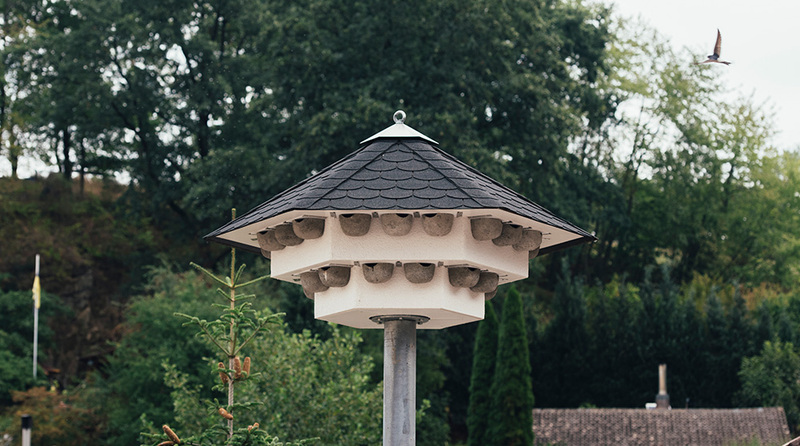 A hands-on project in Sonderbach focused on the protection of the swallows. At a themed evening, not only the knowledge about swallows could be acquired, but also about swallow nests. The fire brigade then helped to attach the swallow nests to the houses. In addition, there was a two-day event for the children of the village. Together, we built a swallow tower in the village, and celebrated a swallow festival with all the friends of the swallows. The long summer holidays can hardly be covered, especially for working parents of younger children. Who is to take care of the children? 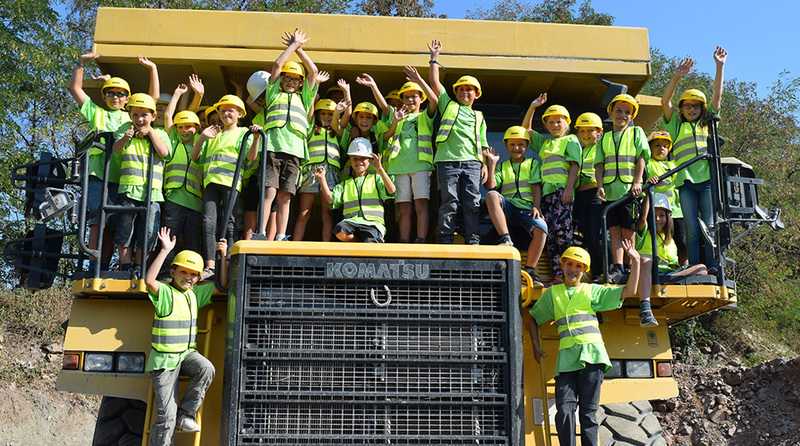 Every two years since 2010, RÖHRIGgranit® has been offering 80 children of employees and neighboring communities an extraordinary holiday camp for one week. The children spend time in the forest, observe animals, search for minerals, build with natural materials, and visit our quarry. In order to provide the children with high-quality care, we cooperate with external experts, including employees of Hessen Forst, NABU activists, pedagogues, mineralogists, archaeologists, and physicians. We provide up to seven of our own employees for the care of the children, and cooperate with local associations. We donate the registration fee to the Naturschutzbund. Our great commitment was awarded the sustainability prize of the German aggregates industry in 2016. Associations are the cement of the community. They are sustained by people who put their energy at the service of the general public, creating offers from which everyone benefits. Our local associations reinforce local cohesion, and represent the region externally. RÖHRIGgranit® therefore promotes more than 30 sports, cultural, ecological, and socially committed associations from the region. Purpose of the association: FG Bottschlorum belongs to the most renowned and traditional carnival associations of the district town of Heppenheim as well as the district of Bergstraße. Every year during the 5th season, ballets, guards, and speakers present new highlights at special ceremonial sessions. In the year 2004, the carnival society celebrated its 100th anniversary with a great campaign, and in 2012, for the 50th time, it will participate in the Heppenheim carnival procession! The association is happy about the steady growth. The work runs hand in hand across generations. The young people are fabulously committed and are eager to get things done. Representation exists throughout the year at joint activities and festivals. At present, the association is led by a young chairwoman. Special feature: continuous formation of juniors from A-Juniors to Bambini (A–D group league). Large girls’ section with all teams U16, U14, U12. Development of women’s soccer. Greatest successes: 1978 and 1985 champion of the Landesliga Süd, and promotion to the Oberliga Hessen. Founded: 1965 as a male choir, 1989 as a female choir, 2007 as a mixed choir and the young choir the “Harmonists”. Purpose of the association: the choral association Harmonie Heppenheim e. V. consists exclusively of amateurs, who meet to sing together out of enthusiasm for singing. Their songs include an extensive repertoire of modern, secular, spiritual, folkloristic, and convivial songs. Outstanding concerts, participation in concerts, and performances at municipal events are proof of the high musical level of “Harmonie”. Rehearsals are separate: Tuesdays and Wednesdays in the “Haus der Vereine” with the conductor Tobias Freidhof. Number of members: 175. Mixed choir: approx. 45 singers. The “Harmonists”: 33 singers. Purpose of the association: to promote cultural life in Heppenheim, to represent the cultural associations and societies to the public, and to support cooperation between the associations. At present, 29 associations are affiliated to the cultural community. Purpose of the association: The marching band “Starkenburg” Heppenheim is known as the musical ambassador of the city of Heppenheim far beyond the borders of the city, and is a welcome guest everywhere. Whether at concerts or parades, the 30 musicians always know how to inspire their audience. Purpose of the association: to promote sportive exercises and performances as well as to preserve the tradition of shooting, and to preserve the associated traditions. The activities of the association are aimed at selflessly promoting the general public by practicing and maintaining shooting on a sportive basis. The association is a member of the Landessportbund Hessen and the Hessischer Schützenverband, and thus an indirect member of the Deutscher Schützenbund. 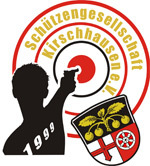 Purpose of the association: SKV Eintracht 74 Heppenheim e. V. is a small, compact association whose purpose is to enable sport bowlers to practice ninepins. Purpose of the association: the town band of Heppenheim is an integral part of the musical life of the district town. The town band can be listened to on various occasions: be it the traditional wine market, the annual concert, or the morning pint at Starkenburg Castle. The repertoire ranges from waltzes and classical compositions to musical tunes, golden oldies, hits, and modern rhythms. The Stadtkapelle is conducted by the professional Wilco Grootenboer, while managing director Jürgen Daubner and his board of directors take care of the multifaceted club life. Rehearsals start on Tuesdays at 7.30 pm in the “Haus der Vereine”. Motivated musicians are always welcome. Purpose of the association: TV Sonderbach offers a wide range of sports for children from 1 year (“pacifier gymnasts”) up to senior citizens over 90 years of age, which is popular with about 400 sports enthusiasts. In 2012, TV Sonderbach celebrated its 100th anniversary. Its members support the association, which has been awarded the “Pluspunkt Gesundheit DTB” quality seal and the “Sport pro Gesundheit” umbrella brand by the Hessian Gymnastics Association. In addition to its sportive commitment, the association also offers cultural events. The Gemeinschaftshaus Sonderbach, which is rented by the city of Heppenheim, offers excellent sports and event facilities. This house is also available to club members and Sonderbach residents within the framework of the guidelines for its use. Purpose of the association: the Bowhunter Bergstraße e. V. is an association that pursues the sport of traditional archery. The association is non-profit oriented. It does not primarily pursue its own economic aims. The association is apolitical. Aspirations and ties of a class separating and confessional nature are rejected. The association has its seat in Heppenheim-Sonderbach. Here 19 young archers up to the age of 18, and 42 active members, practice archery in a course embedded in a beautiful landscape at the entrance to the Odenwald forest. The members of the association cover the age range from crawling age to pensioner. Admission to the club grounds is only permitted when accompanied by an active club member. Purpose of the association: Forum Kultur Heppenheim e. V. (formerly: Kulturkreis Heppenheim) was founded with the aim of enriching the cultural life of the district town. Forum Kultur organizes events in five categories. Purpose of the association: to research the history of the town of Heppenheim, its current districts, and its surroundings. Further purposes are the preservation and promotion of historical monuments, customs, as well as objects and collections in the fields of culture, art, and science. The association has published the magazine “Die Starkenburg” (published four times a year as a supplement to the daily newspaper “Starkenburger Echo”) since 1924, and the Sippenbuch Heppenheim (on local family history, 3 volumes to date). Regular public activities, which are accessible to all who are interested, include: Heppenheim historical meetings, excursions and exhibition visits, lecture events and lectures by members (e.g. on historical maps), guided tours (“Galgenwanderung” or on the Day of the Open Monument), as well as participation in exhibitions. The chairman is Prof. Dr. Karl Härter. 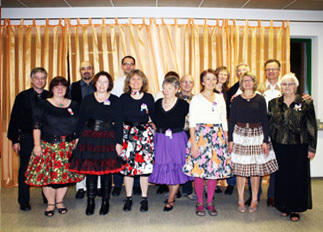 Purpose of the association: the MGV singer alliance 03 is made up of singers who meet to sing together out of pleasure. Main task and goal is, under the choir direction of Rolf Köhler, the interpretation and preservation of the classical and traditional choir literature. Since 2005, they have been cooperating with the MGV Concordia Erbach, and perform together with clubs they are friends with, on Memorial Day, when singing Christmas songs on the cemetery and, among other things, when singing on the Heppenheim market square. The chairman is Paul Wolf. 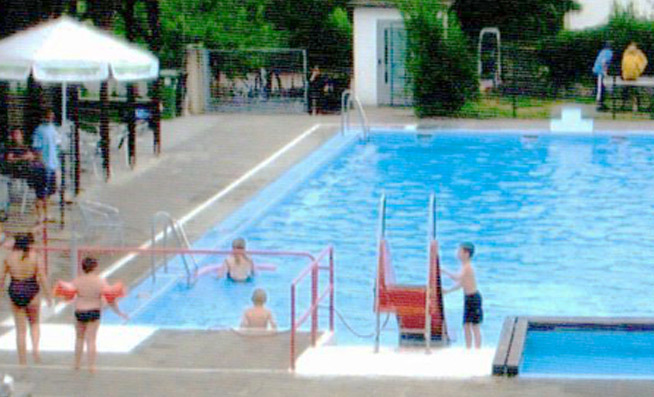 Purpose of the association: Sonderbach’s Kleinschwimmbadverein was founded to preserve the public swimming pool in Sonderbach. The swimming pool promotes the community life of our village and the surrounding villages, and is a meeting place for young and old during the summer season. Purpose of the club: the Crazy Pink Cadillacs perform square dancing. This is an American folk dance in which groups of four couples dance to the caller’s command. Even if it looks like it, the sequence of the figures is not memorized, but is constantly rearranged by the caller. Thus, no two rounds of dancing are the same. 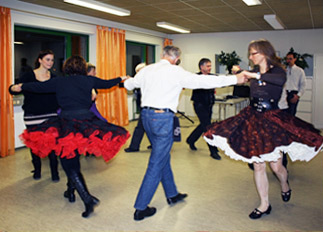 Special features: square dancing is open to singles and couples, and has no age limits. That’s why you can also come alone and, if you like, look for a new partner for each round of dancing. 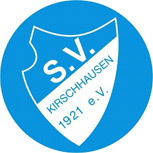 Purpose of the club: SV Kirschhausen is a sports club with the divisions of ping-pong, soccer, and volleyball. It is engaged in intensive youth work, especially in the fields of table tennis and soccer. 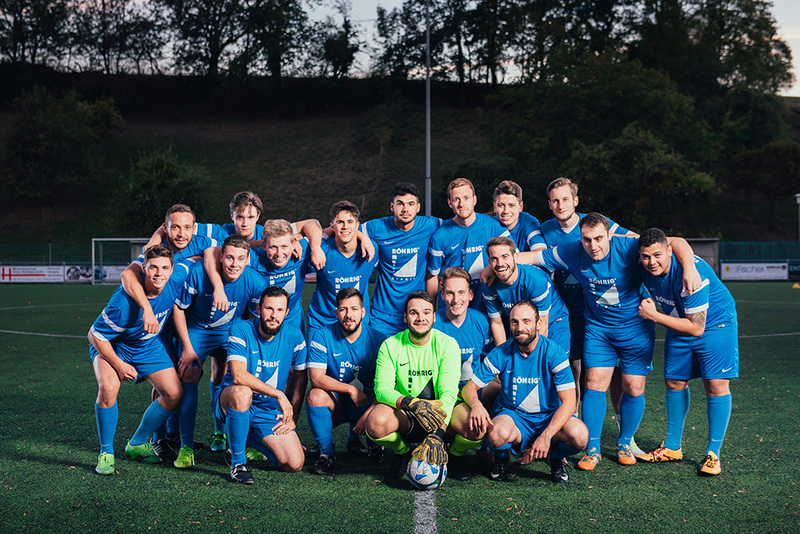 SV Kirschhausen organizes the Heppenheim City Cup, in which the clubs SV Kirschhausen, TSV Hambach, SV Mittershausen, FC Sportfreunde Heppenheim, and FC Starkenburgia Heppenheim participate. Trainers from the various aid organisations provide training in the quarry almost every year. The rugged, sometimes dangerous terrain right in the middle of the forest is ideal for practicing for emergencies. First aiders from all over Germany come together to do this. Real-life mannequins, some of them terribly prepared, hang with parachutes in the trees, or are seriously injured on the steep slope. The instructors do not only practice caring for broken bones and open wounds, and recovering the injured, but also to overcome the first shock, and to tackle the situation when they are confronted with severely injured. Purpose of the association: the fire-fighting group is a voluntary fire brigade, subdivided into the operational unit, the fire brigade association, and a youth fire brigade. The primary purpose of the fire brigade is to protect the citizens of Juhöhe from fires and other damage, which is accomplished by the 15 firefighters. Purpose of the association: the voluntary fire brigade of Kirschhausen is a non-profit association. The purpose of the association is, among other things, to support the voluntary fire brigade of Kirschhausen in ensuring fire protection in Kirschhausen, promoting village life, supporting youth work. The association has four departments. The operational department has 60 active members, the marching band 43 active members. The youth fire brigade has 38 active members, and an old-age and honorary department with 17 active members. Five emergency vehicles with two rescue cutters and a field kitchen are available to protect the population. Purpose of the association: the voluntary fire brigade of Sonderbach is a non-profit association. The purpose of the association is to ensure fire protection in the district of Heppenheim-Sonderbach. The commander is Klaus Lenhardt, chairman Marion Unger.